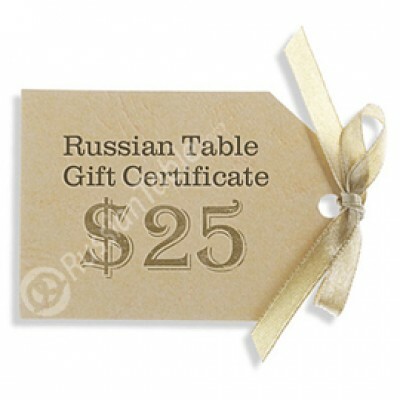 Gift certificate $25 buy for 25.0000 in store RussianTable with delivery. Gift certificates are delivered electronically via email. Do you have any questions about Gift certificate $25?